Galicia is renowned for its cuisine. Any Spaniard worth their salt will admit that the best place to eat in Spain is Galicia. It is not just the quality of the food but the diversity. With all the delicious dishes on offer, one needs to have something to with which to wash it down. Here the region does not fail. From a flaming spirit to ward away evil spirits to a world-class wines, Galician libations are top-notch and diverse. 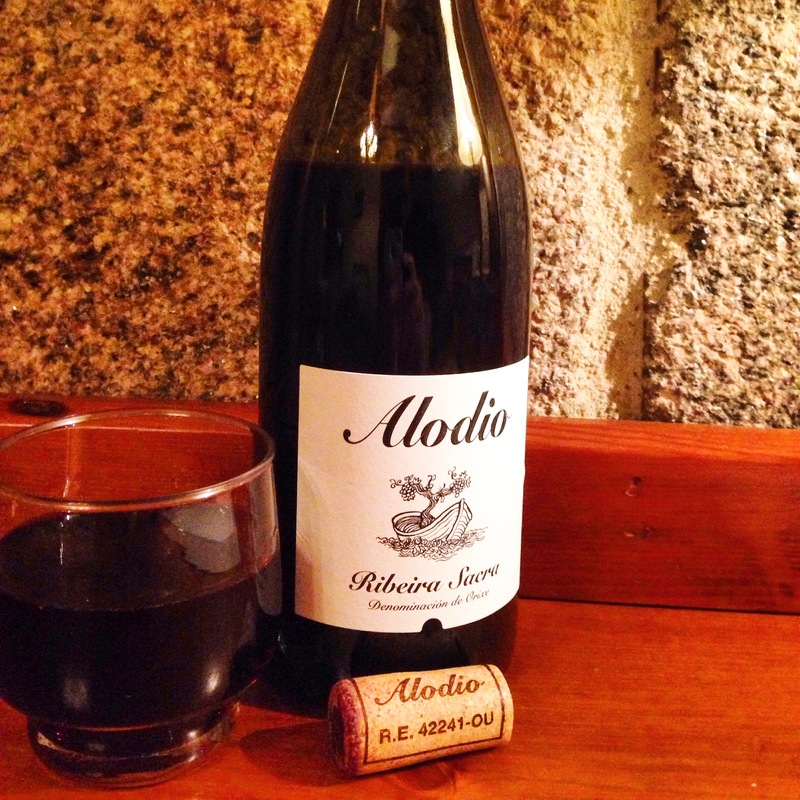 These are my top five favorite Galician drinks. Licor café. The best licor café comes from Ourense. The best licor café comes in unmarked, unregulated bottles, which means that the licor is homemade but also illegal. If ask for licor café at a bar and the barkeep pulls out a bottle with no labels, keep it a secret so the Spanish regulation officials don’t pay a visit and serve the bar a fine. Some of the best licor café I´ve had came in a recycled water bottle from a bar that will not be named. Licor café is made from orujo (a pomace brandy), sugar, and coffee and it is oh so sweet, which also makes it dangerous. 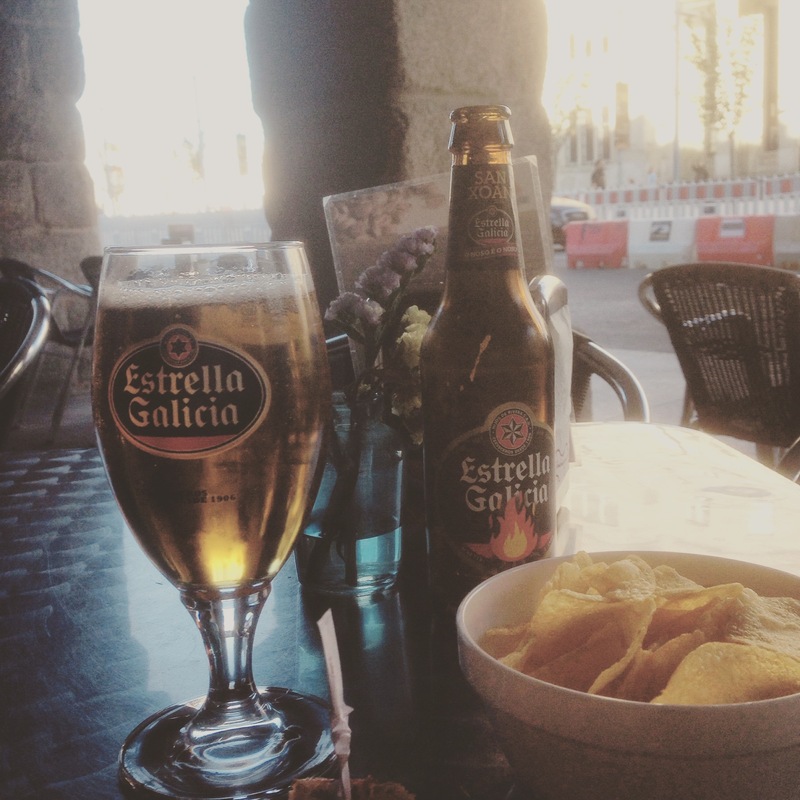 Estrella Galicia. “The perfection obtained in the production of this beer is the result of a knowledge passed down over the years and constantly improved by four generations of the Rivera family.” Brewers since 1906, the Rivera family still owns and runs this Galician cultural landmark. They started in A Coruña and have since dominated both the Galician and Spanish beer market. Hands down the best beer in Spain. The 1906 reserve special is great as well. Ribeiro. The Rías Baixas D.O. wines are more well known in Spain and internationally, but I prefer the less sweet whites from the Ribeiro D.O. Again, geography influences my taste pallete, as living in Ourense I was surrounding by the Ribeiro D.O. and the next drink on this list. The Ribeiro D.O. wine region produces mostly whites with the Treixadura grape that is native to the region. Ribadavia is the center of the wine-growing region, so if you want to explore this vastly underrated wine, head their first and ask locals about good bodegas to visit. Mencía. I had a hard time choosing which I like better, Ribeiros or Mencías from Ribeira Sacra D.O. I was on a Ribeiro kick this spring and summer so with winter approaching I will likely switch to more Mencía wines. This is another underrated Spanish red, overshadowed by the Rioja and Ribera del Duero reds that saturate the international wine market. I was floored when the Chicago hotel I stayed at this summer had a Ribeira Sacra D.O. Mencía wine on their wine list. These wines are grown in a spectacular setting in the province of Ourense, with the vineyards hugging the insanely steep slopes Miño and Sil rivers. They are so steep that it is impossible to harvest the grapes with machines, thus spawning the term heroic vine-growing as the grapes are hauled by hand up and down the steep canyon sides. Queimada. If you come to Galicia only once it must include a queimada ceremony. It is one of the most revered Galician traditions amongst the Galician people themselves. The ritual, possibly of Celtic origins, aims to ward off evil spirits that attempt to curse men and women. The ritual involves setting ablaze a bowl of orujo with sugar, coffee beans, citrus peel, and cinnamon added while the incantation, conxuro, is recited, giving the drink special powers to anyone who drinks it. Perhaps the coolest and most endearing thing I´ve done in my time living in Galicia was being given the honor of reading the conxuro by my Galician friends.